Horse rugs are a confusing matter for many riders. Some riders do not feel the need to use them and consider them an unnecessary accessory, while others cannot imagine functioning without them. What’s the truth? If you decide to use a rug, which one would be suitable for your horse? Are you looing for a highest quality rugs for horse? You can find it in Equishop.com. It is true that in their natural habitat, horses do just fine without such amenities as rugs. However, we need to note that horses working in horse riding don’t have the same functioning circumstances as the horses living in their natural habitat. First of all, horses training under the saddle are usually shaven, which damages their natural protective layer against low temperatures. Most time when it’s cold outside, these horses spend inside, where they are not subject to low temperatures. Even the matter of a different diet is crucial here. This is why we cannot expect them to have the immunity their free brothers have. While changing the horses’ habits and surroundings, we need to provide them with protection from the negative effects of e.g. weather. For that very reason we have various types of rugs. Which kind would be most useful for your horse and when to use it? We will try to explain that. Training – this type of rug is put on along with a saddle. It will be perfect for colder days. We should mention that training with them should not be too exhausting, because your horse might have trouble with losing heat excess from the body. Dry – usually made of fleece or some other material with moisture-absorbing properties. This type of rugs is usually used after training in order to dry the horse. In stores, you can find them as fleece rugs. Stable – recommended for shaved horses. They should protect the horse from cooling too much, but at the same time they do not block air circulation, so the horse doesn’t sweat. To be used in stalls. Paddock – to be used on paddocks. It will protect your horse against the wind and light rain. Made of materials easy to clean. Rain – it protects your horse’s coat from getting wet during rain. This kind of rug is perfect for paddocks on rainy days. Mostly they are made to be as waterproof as possible. Fly – used to protect the horse from insects. Usually made of mesh material. This kind of a rug is super useful in the summertime, where horses are especially subject to insects’ bites of all sorts. Winter – rugs with padding. To be used on a paddock or in a non-heated stable. Usually it is possible to choose from a couple of thickness of padding for one model. Transport – to be used to protect the horse during transport. Another thing is to adjust the proper length. Namely, how to choose proper size for our horse. Particular producers have various size markings. You can find letter sizes (S, M, L etc. ), centimeters, or inches. There’s a rule where for units of length is the length of the rug on the horse’s back. This value is crucial for choosing the right size. Even if you have an S, M, or L size, it describes the rug’s length on the horse’s back. E.g. 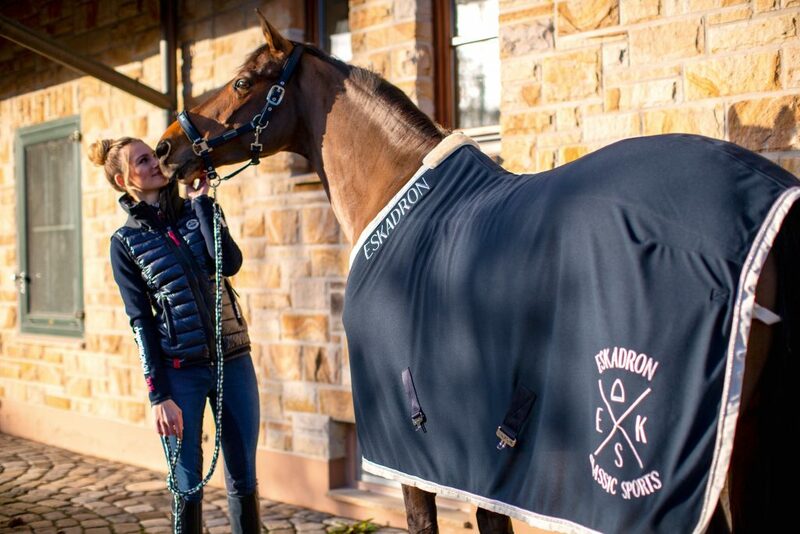 a well-known producer of equestrian equipment Eskadron says that S = 125 cm, M = 135 cm, L = 145 cm, etc. Of course, it’s best when you can take a look at a chart when all the rug’s dimensions are mentioned. Then you can be sure that a given size will fit your horse properly. As you can see, by using proper rug you can help your horse in dealing with unpleasant weather, insects, or protect him during transport. Also, you shouldn’t overdo the whole rug thing. 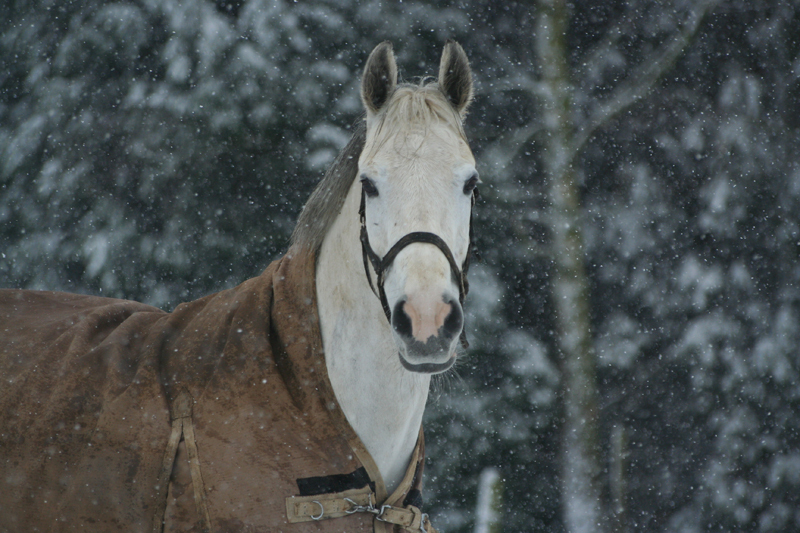 If you use them when they are not needed, you can disturb your horse’s natural thermal self-regulation. 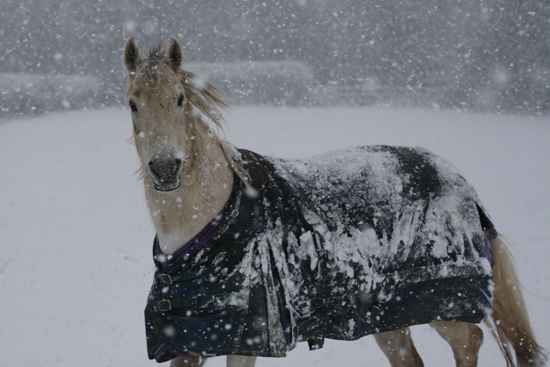 However, you need to remember that without a rug when the weather is bad, you endanger your horse e.g. to a higher risk of catching a cold.